weren't worried about hardening our arteries - ha ha. Anyone remember them? but they weren't the healthiest that's for sure. 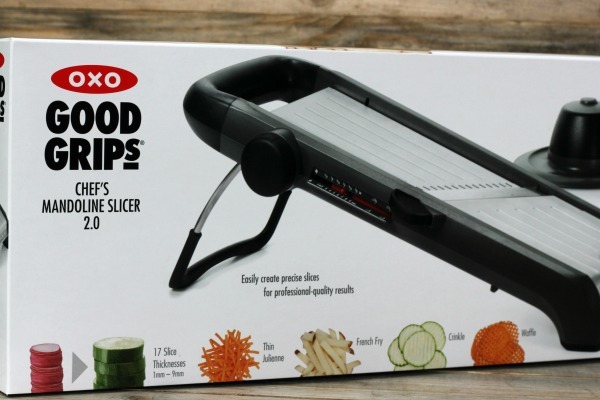 in place, keeping your fingers safe from the super sharp blades. 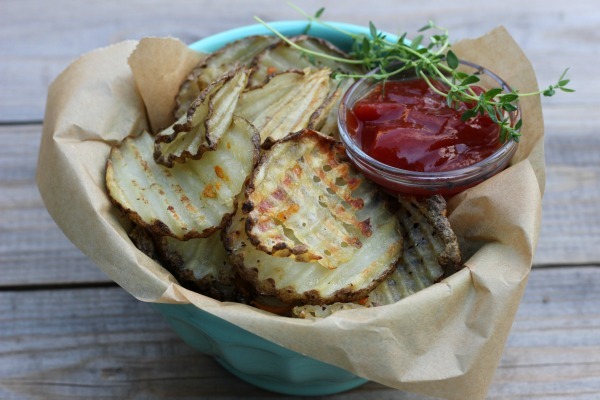 fries take no time at all with this mandoline! 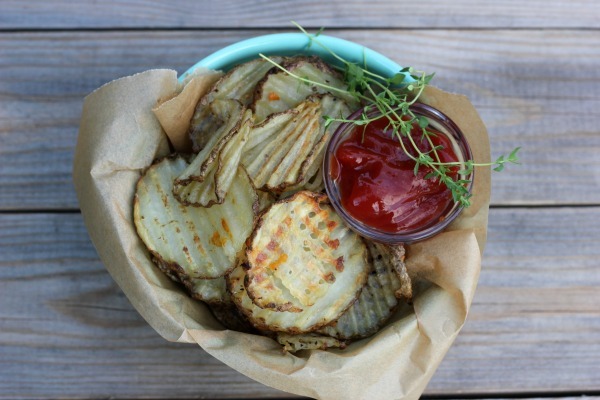 for a quick and easy dinner any night of the week! Preheat oven to 425 degrees. Spray a large baking sheet with cooking spray. 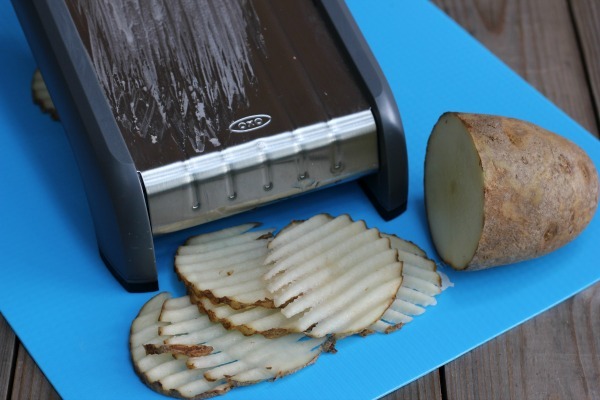 Slice potatoes using a mandoline. Place in cold water and soak for 15-20 minutes. 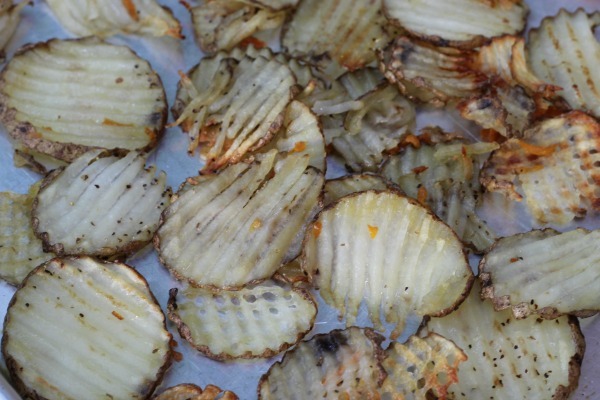 Rinse potatoes and lay flat on a paper towel or clean dish cloth to dry. 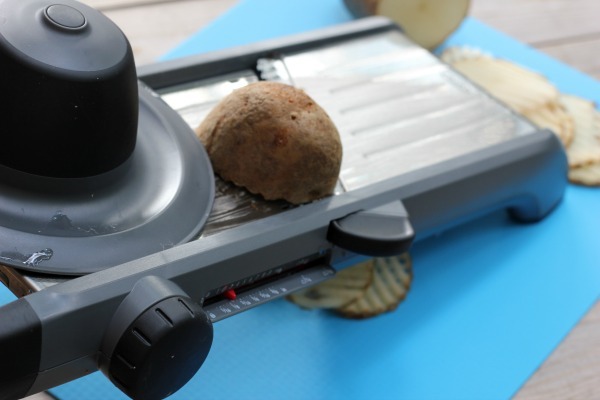 Place dry potatoes on a large baking sheet. Drizzle with olive oil, tossing to coat. This post is sponsored by OXO. As always, all opinions are my own.